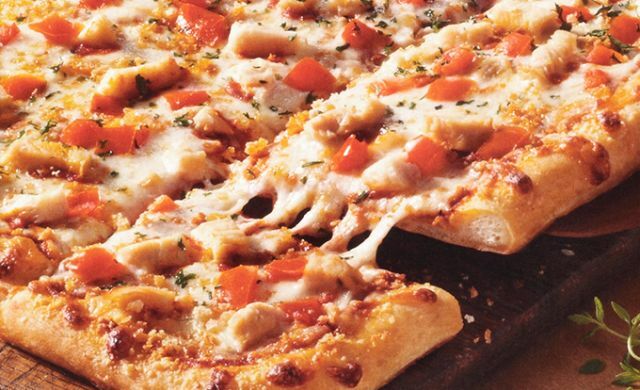 DiGiorno expands their Pizzeria Thin lineup with two new flavors: Spicy Sausage Italiano & Provolone and Chicken Parmigiana. The Pizzeria Thin line features a thin preservative-free crust drizzled with extra virgin olive oil. New Spicy Sausage Italiano Provolone comes topped with spicy Italian sausage slices, reduced-fat provolone, diced tomatoes, mozzarella, and the brand's signature Pizzeria sauce. New Chicken Parmigiana features white meat chicken, diced tomatoes, toasted breadcrumbs, mozzarella, and signature Pizzeria sauce. 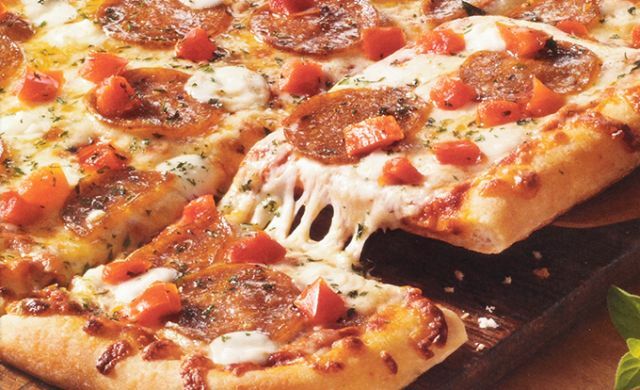 You can find the new flavors along with the rest of the DiGiorno Pizzeria Thin crust pizza line at grocery stores nationwide with a suggested price of $6.99 (may vary).